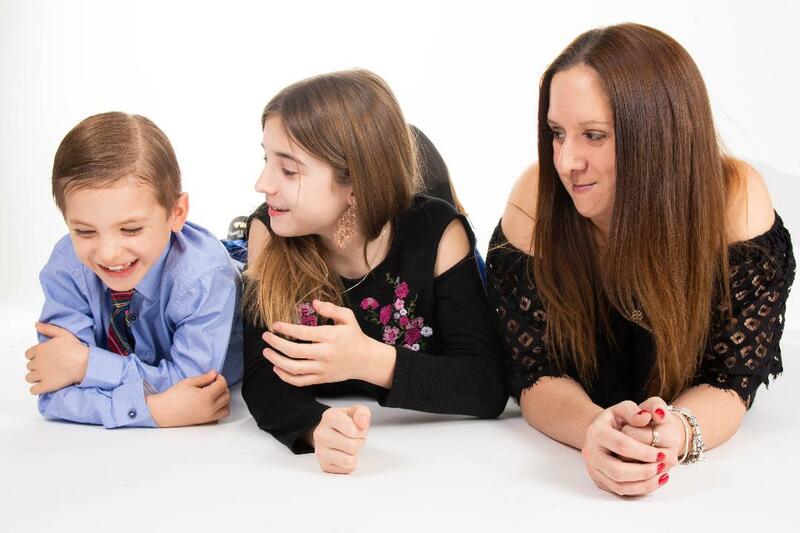 Inspired by traditional regional Italian recipes, the NEW Italian Indulgence range brings to life the taste and textures of Italy like never before! Loved by Italians everywhere, Giovanni Rana is the most cherished culinary secret in all of Italy. Artisan pasta maker for over 50 years, Giovanni Rana’s pasta is made with the very best ingredients in order to create a unique product of the highest quality. Delicately wrapped in fresh egg pasta, the new Italian Indulgence range features a delicious, mouthwatering blend of innovative new recipe combinations, which have been especially created to appeal to the most discerning of pasta lovers. Try the Crumbly Ricotta, Shredded Baby Spinach & Mascarpone Ravioli - green spinach leaves marbled through creamy white ricotta and mascarpone cheese provide an exciting creamy texture and silky smooth taste. Experience the flavours and intoxicating aromas of the Mediterranean with Chicken & Rosemary Ravioli – succulent chicken pieces in a creamy combination of ricotta and mascarpone cheeses mixed together inside large pasta ravioli. For those who love the tricolore salad why not try the Sun Blushed Tomato, Olive & Mozzarella Ravioli - tomatoes and slices of black olives, combined with rich and creamy mozzarella cheese. For cheese lovers the Gorgonzola & Crunchy Mellow Walnut Ravioli, contains rich Gorgonzola cheese blended with crunchy walnuts, wrapped in large pasta ravioli. 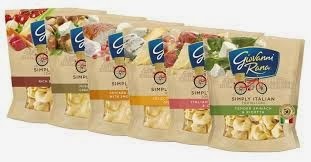 For simple mid-week suppers, Giovanni Rana’s Simply Italian range provides a delicious and quick solution. Choose from five new classic Italian combinations such as Cured Ham & Cheese Tortelloni featuring Italian cured ham that has been mixed with ricotta and mascarpone cheeses, Selected Italian Cheeses Ravioli made from a blend of Ricotta, Parmigiano Reggiano PDO, Gorgonzola PDO and Pecorino Romano, Chicken & Mozzarella with Smoked Pancetta Ravioli the smoked pancetta provides the perfect flavour boost to the chicken, Rich Bolognese Tortelloni made using a homemade Italian family recipe and Mushroom with Creamy Ricotta Ravioli containing Porcini and champignon mushrooms. 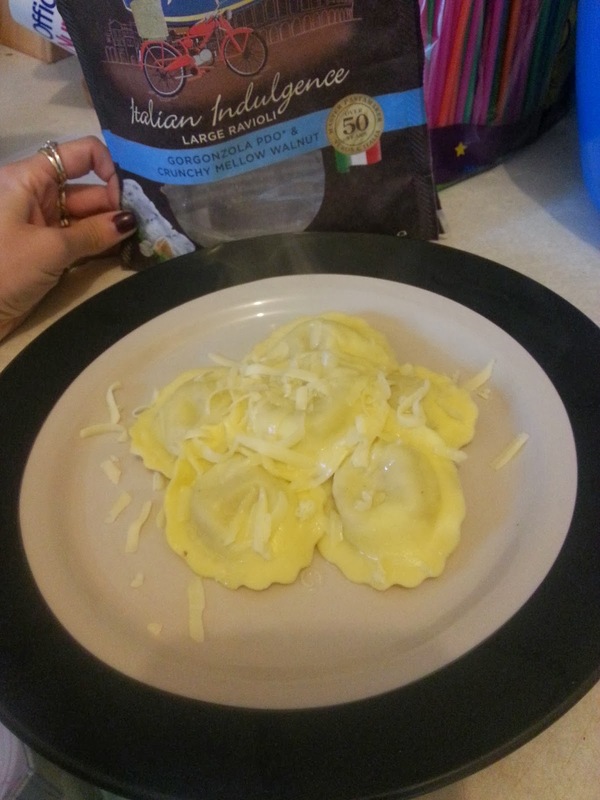 Simple and quick to prepare, all Giovanni Rana fresh filled pastas can be cooked in less than 5 minutes in boiling water. Perfect for eating with friends or family, why not impress your guests by serving it the Italian way with a drizzle of olive oil and a few shavings of parmesan cheese to bring out the delicious, delicate flavours of each of the new fillings. 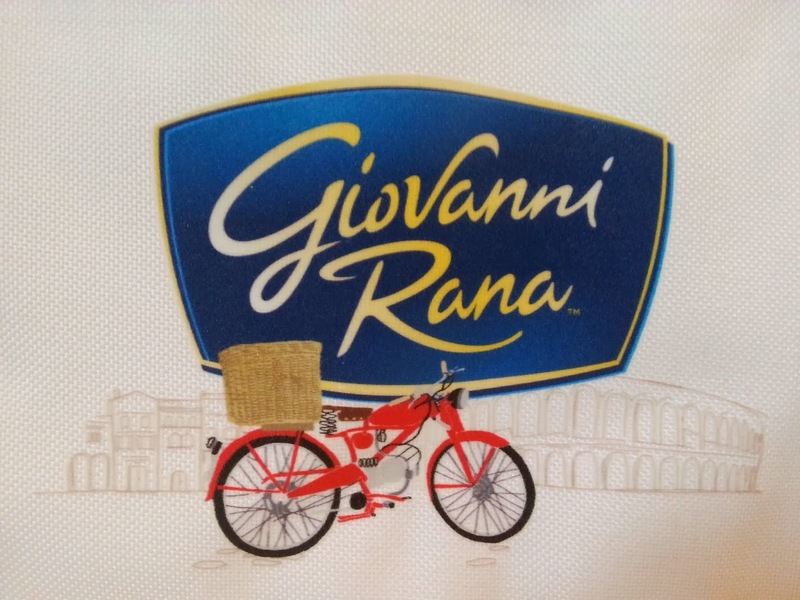 Available in Giovanni Rana’s new distinctive paper bags, look out for the new Italian Indulgence and Simply Italian ranges in your local supermarkets with an RRP £2.49 for Italian Indulgence and £1.99 for Simply Italian respectively. 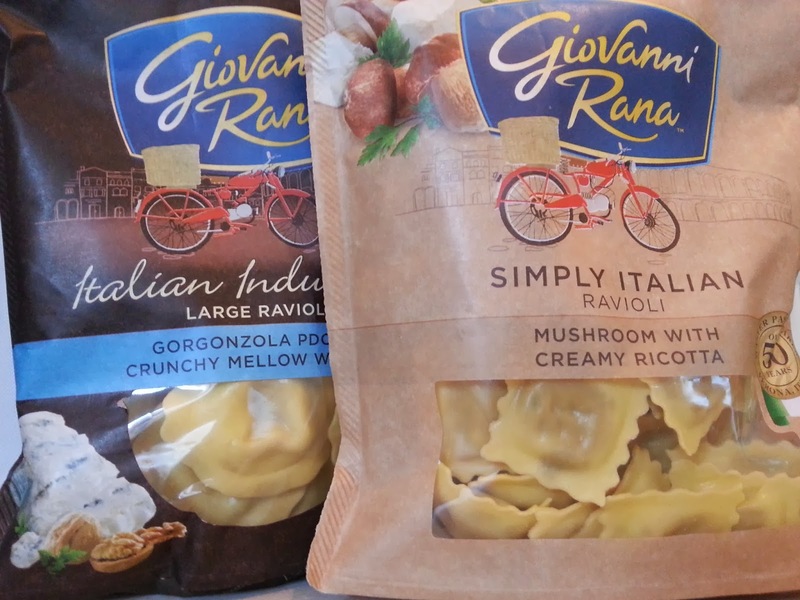 Being the HUGE pasta lover that I am, I happily jumped at the chance to try out some of the new Giovanni Range. 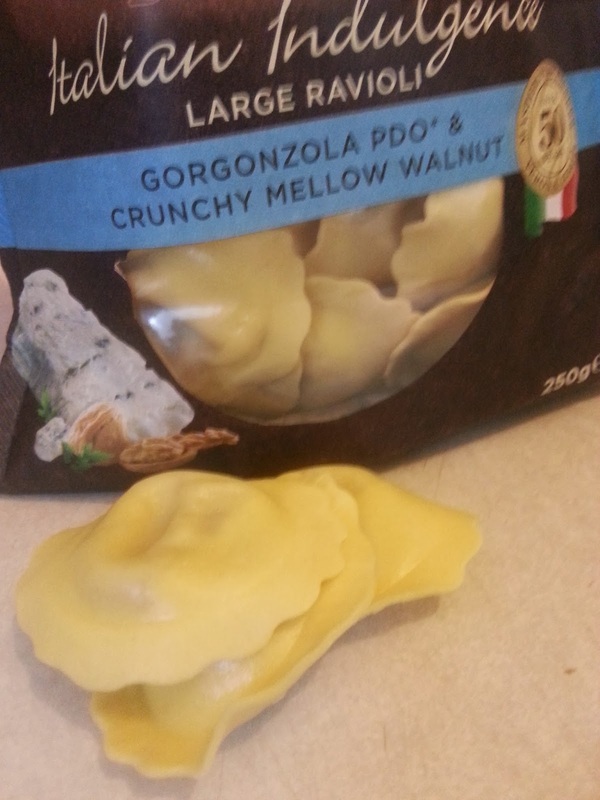 I was sent two samples to try, Gorgonzola & Crunchy Mellow Walnut Ravioli and a Mushroom with Creamy Ricotta Ravioli. I usually go for the cheese and ham varieties as I'm not a huge veg fan but I was willing to put that aside and give them a try. The Gorgonzola & Crunchy Mellow Walnut Ravioli, contains rich Gorgonzola cheese blended with crunchy walnuts, wrapped in large pasta ravioli. I loved the size of each piece, it was a really good size which meant you didn't need too many on your plate to fill you up. 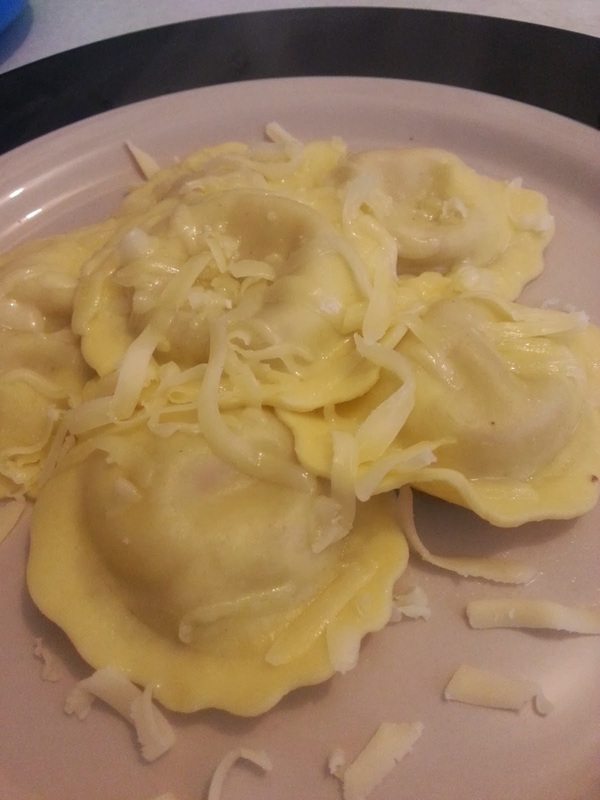 The fresh pasta was lovely and it was really simple to cook. I really liked the cheese flavours but didn't like the walnuts. ( I've never been a fan of walnuts though ) Once cooked I served mine with a sprinkling of grated cheese which I often to with all my pasta meals. 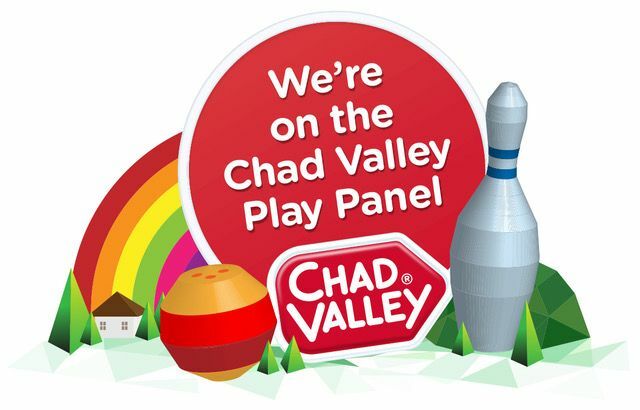 I loved the pasta itself but wasn't really keen on the fillings I was sent but that hasn't put me off at all as I would still love to try out some of the other varieties. 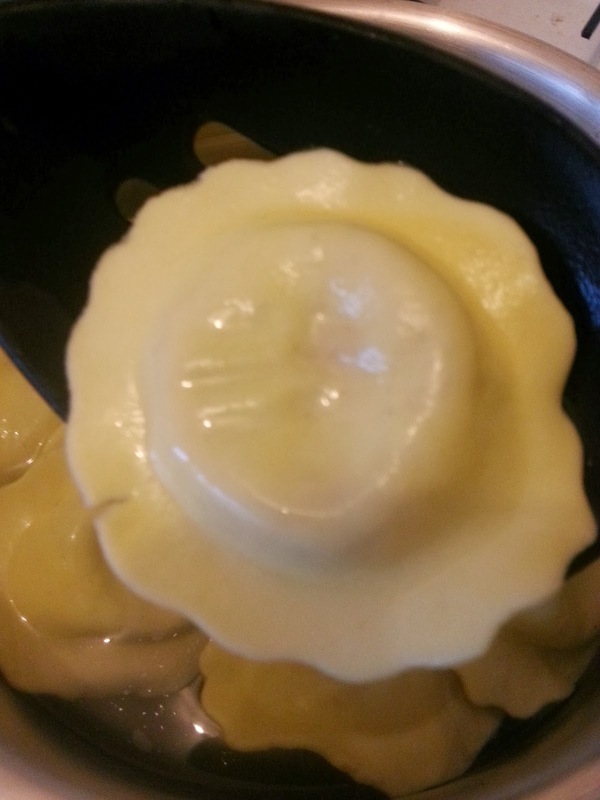 The Cured Ham & Cheese Tortelloni and Chicken & Mozzarella with Smoked Pancetta Ravioli sound right up my street. The prices are really reasonable for the quality you get with these meals. The flavours are good, the textures are great and the range as a whole looks delicious.